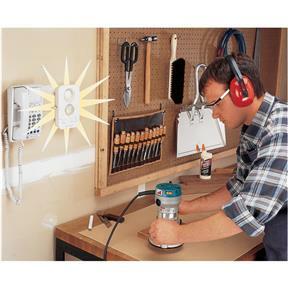 Never miss an important phone call while working in a noisy shop environment. Perfect for workshops with loud machinery running or when wearing hearing protection. 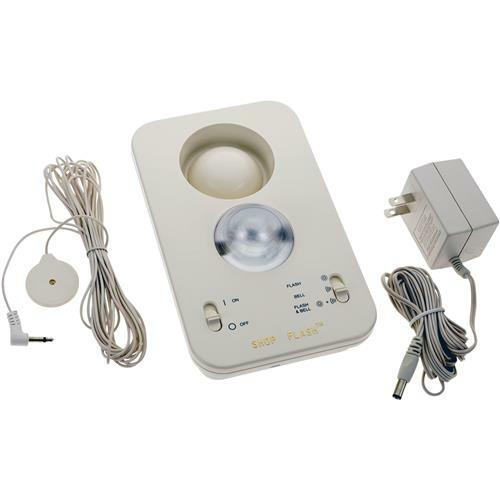 Built-in audible sound or flashing light or both will alert you every time the phone rings. 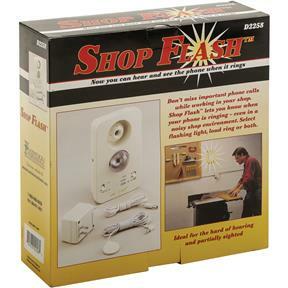 The Shop Flash™ requires no batteries and includes AC/DC adapter and microphone with 14' cord that easily attaches to your telephone. The pickup is too sensitive and picks up shop noise. 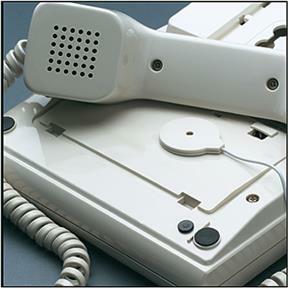 The phone is cordless and this restricts the placement of the unit. I will need to relocate to a base phone that has a ringer and add to the wire to bring into the shop. Put this in just this week - works great. Recommended for anyone who wants to be sure they dont want to miss the phone. Would like to update my previous review, Would now recommend this product, 1st one was defective, contacted Grizzley about problem, they replaced item the next day via UPS delivery, Excellent customer service. I bought it & the first ine didnt flash. The company replaced it at no charge with no hassle. Grizzly products have always been top of the line. Thanks for Great customer service !!! I had a great experience with the Grizzly tech dept. they helped me source a gear for my metal lathe when I had no info to provide them. They went the extra mile to give the customer a great experience. Something you dont see very often in these time. Customer service seems to have been tossed aside with the advent of internet shopping. How sad!!!!! Nice product - excellent price - only problem is that when I use my router the light flashes - I'm use to it now - I can concentrate on my woodworking and not miss any phone calls. I bought this to enable my Dad to hear(and see) his door bell ring, I has worked fine in this situation. Had to mount the microphone on the front of the base unit to get it to sense the phone ringing. After that it worked great.